Thoothukudi Macaroon is a light biscuit made with egg white, sugar, and ground almonds or coconut. This is quite tasty in Tuticorin and adjacent places. 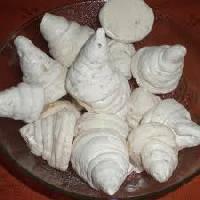 Tuticorin macroon is one of the best sweets in south Tamil Nadu. 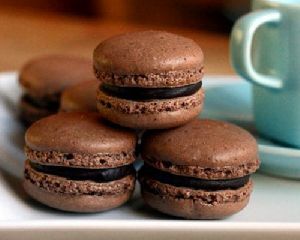 Macaroons - a small circular confection, made with icing sugar and granulated sugar, waiting to be gobbled whole. Light as a feather, these French treats are simply a delight, being an anytime dessert. As they say, more the better! Chocolate Ganache, Strawberry Cheesecake, Lemon, Salted Caramel Praline or Cookies and Cream...the possibilities are endless!